April 28, 2016 “37 year old son of Lego billionaire takes the helm as Vice Chairman” Congrats, Thomas Kirk Kristiansen, now that you’ve inherited the Lego legacy, and named your daughter and five female cousins as ‘most active owners’ in the young generation family mix, I have high hopes we’ll see some gender stereotypes disappear and brain plasticity triumph! Here’s to positive pursuits! 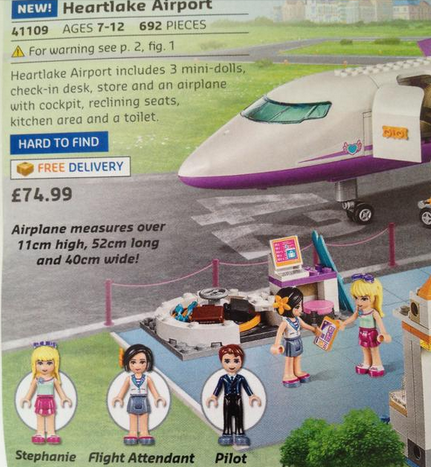 Update June 4, 2015 Annnnnd…”Lego Friends” failed girls AGAIN…Every possible opportunity to build on brain plasticity and the default is to bring in a male pilot and pinkify the plane? Read this excellent indictment of Lego’s repeated pattern of framing external beauty and stereotyped “service” fluff-n-stuff over substantive smarts and STEM “fem forward” possibility to raise the bar for collective knowledge on the planet. Once is an “oops”…MULTIPLE iterations, selling 4- 7 year olds beauty tips and vapid values of self worth despite research data, worldwide consumer pushback and public sentiment pointing the other direction is duplicitous drek promoting appearance-based cues to girls selling insecurity for profit with a marketing bullhorn. Why does this stuff matter so much? Because it sets precedent, tamps down child development, thwarts behavioral “see it, be it” progress for girls, and blatantly manufactures sexism to be sold in subtle, pervasive ways. 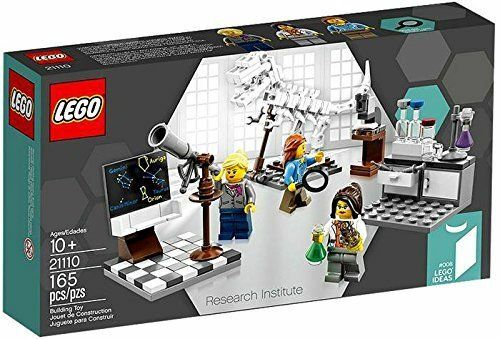 Update Oct. 26, 2014 As we all know by now, the new female scientist mini-fig set (shown ABOVE) made a big splash in August 2014…but fell into limited edition/hard to find collector’s abyss, infuriating many parents, STEM enthusiasts, and educators. PLEASE Lego, build on promoting positive plasticity not mass market stereotypes for big box retailers. 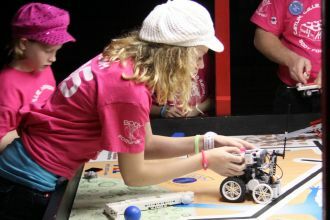 Building creatively, not just ‘assembly kits.’ The market is there, the demand is high, the timing is right, and parents are primed to seek out STEM skill sets beyond beauty duty. Lego, you’re the big kahuna as the world’s largest toymaker now, surpassing Mattel…the world is watching…Make it count. Case in point? 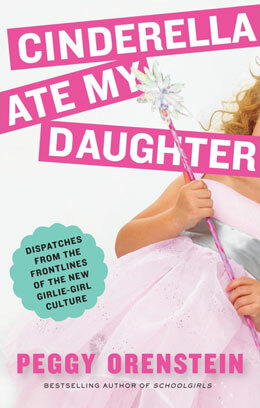 Mattel’s backpedaling, reframing and attempted goodwashing of their absurdly sexualized Monster High dolls. And quite possibly soon? 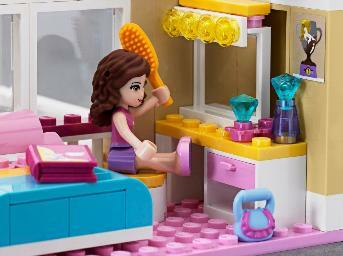 The marketing myopia of Lego Friends. I’m not ‘outraged’ or ‘freaked out’ or whatever loaded media-baiting punditry is flinging about regarding the new Lego Friends line targeting girls with the pinkification of ‘ladyfigs’ (complete with itty bitty breasts, curves, names, backstories, as beautified assembly props instead of open-ended imaginative, buildable play) I am baffled. How (and why) are we missing profound opportunities to leverage neuroscience breakthroughs for positive change, wellness and play? With all this Lego research ‘anthropology,’ why aren’t we closing learning gaps with innovation? How can we finally be tossing aside ‘hardwired’ corpus calossum theories on differences in boys/girls, acknowledging brain plasticity and realizing this play pattern/edu deficit stuff is NOT ‘set in stone’ and yet simultaneously standby to see Lego spend $40 million in mega-marketing bucks to proceed to SET it in stone. Truly…baffling. Why would we DO that? 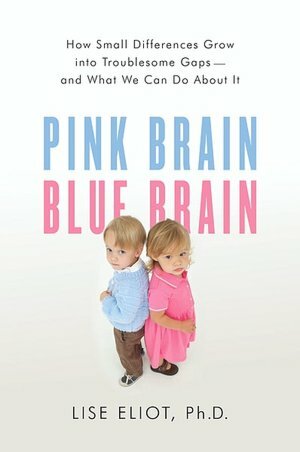 Spend a little time clicking through the 45pp bibliography research in Lise Eliot’s Pink Brain, Blue Brain: How Small Differences Grow Into Troublesome Gaps and you’ll see countless opportunities to use play and toy design to subtly COUNTER-market stereotypes and behavioral bias with FAVORABLE outcomes for BOTH genders. 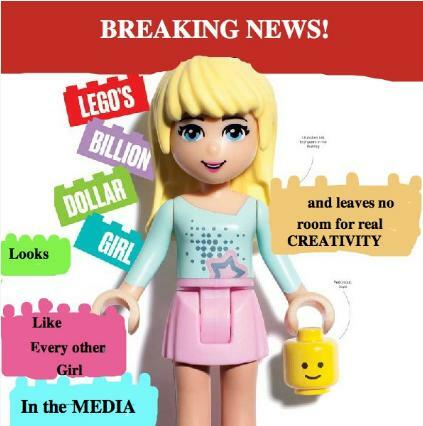 As my media literacy colleague sums nicely in this Lego Friends roundup on learned behavior in “The World That Has Been Pulled Over Our Eyes” it seems we’ve gulped down very large glasses of this gendered cultural Kool-Aid and now run it in our mental relays systemically as faux fact. And OF COURSE they will ‘sell’ …that’s not the point. Research is only as good as what you do with it, and if Lego chooses to lose the opportunity to uplift and inspire through toys to think out of the ‘brick box’ opening new landscapes in buildable play for girls, then we just have ‘more of the same’ marketing maneuvers using figurines to snag sales from companies like PlayMobil…not much higher-minded thinking going on there. …We begin early on building new fluencies by shifting rather than reinforcing play patterns to stop gap educational chasms that seep out in early years of ‘testing’ after exposure to repeated environmental influences? …We focus on using those thousands of hours of practice in play purposely veering toward more verbal prowess for boys and spatial ability for girls to close the whole reading/math gender stereotype gap? 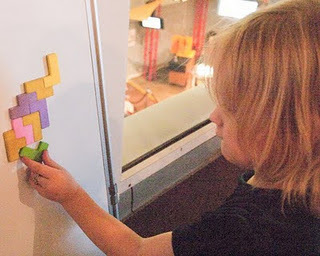 … We redirect that $40 million of Lego marketing money toward cross-training childrens’ brains via play to amp up their mind muscles and fill learning gaps in BOTH genders? …Marketers and toy industry influencers are CLOSING and compartmentalizing them in hyper-gendered “girls only/boys only” short-sighted, sloppy thinking. I’m NOT against pink or glittery fun or gender preferences or the free market system of Lego cashing in on new product line expansions…nor unicorns, fairies and ponies fergoshsakes. I AM against stacking the deck of ‘learned behavior’ with pervasively marketed signals of stereotyped imagery embedding into the brain with stiflingly narrowcast assembly-line rote mimickry. I far prefer pure, imaginative, problem-solving free form fun. As “Cinderella Ate My Daughter” author Peggy Orenstein reasoned in this NYT op-ed Does Stripping Gender From Toys Really Make Sense? “At issue, then, is not nature or nurture but how nurture becomes nature: the environment in which children play and grow can encourage a range of aptitudes or foreclose them. Yes. Yes. And abso-freakinglutely yes. Think Different, Lego. Let’s not throw copious quantities of money into the rabbit hole marketing the appearance-beauty bit to commodify childhood with cruddy cookie cutter gender cues yet AGAIN, shall we? I’ve always enjoyed that the product is more DIY “MakerFaire” and less ‘collect the set’ happy meal mentality which feeds the ‘buy it once, build it once’ box of boring. But sadly, that’s devolved over the years too. Nothing irks me more than when companies ‘had it right to begin with’ (Lego, Playdough, WikiSticks etc) only to impose striations in the name of ‘marketing’ that have not just altered play, but hampered it. With Playdough for example, there’s a huge difference between marketing cool extruders to create funky new shapes and colorful strands…versus pre-formed imprinting molds of licensed cartoon characters to stick in the goop and pull out a face. Dr. Stuart Brown who wrote Play manages to zero in on the problem when we mass market and narrowcast children with pre-scripted vapid role play. He’s founder of the National Institute of Play, though many know his classic play video of the ‘polar bear and dog’ in the tundra as much as his work in the science of play. I promised myself I wouldn’t go all ‘deep dive’ research-wonky citing umpteen sociological media studies (though Care Bears vs Transformer ads/influence gives you a snapshot) nor would I pick apart Lego’s research flaws using data more as a validation tool for purchasing power vs scientific inquisition (“No one should approach the temple of science with the soul of a money changer–Thomas Browne”) but it’s quite clear I already have…so one last finger wag: To me, Lego Friends is more about turning a profit very fast to play catch up in appealing to girls after dissing them for years in ads than instilling visionary thought. After all, they turned a perfectly solid unisex product into a ‘boys only’ toy when they could’ve opened a RAINBOW of possibilities by including the girls from the get go. THEY not only created their own problem, they’re now making it worse with their $40mill ‘solution’ throwing even more visualization and stratification into an already needlessly polarized marketplace. “What will kids take away from this?” What is the ambient wallpaper in the mind’s eye, seamlessly seeping into their psyches? It’s very telling to observe that at age one both sexes play with dolls (enjoying faces, voices) by age two they already begin to ‘figure out’ identity through toy choices and reactions, and by age three meta-analysis shows environmental impact of sociological reward/reactions to the point that by age 5 girls still can split time evenly between ‘boys and girls toys’ whereas boys are no longer ‘given permission’ to play with girls’ toys. Sheesh. We need to be mindful of mindlessness as well as the distorted rote ‘rules’ that ADULTS impose on free play. Whether it’s mach0-limitations imposed upon Legos for boys or the pinky-princess beautifying cupcake sweetness for girls. Using media to market with mindfulness isn’t too much to ask, folks. It’s just like being responsible in launching toxic behavioral cues via misogynistic misfires, or the inevitable problems of bringing alcopops to market targeting urban tweens. …This goes for media and marketing formulaic mindsets universally, whether it’s Hollywood box office retreads or kids’ trends that rollout with virality turning indie spirit into lemmings in lockstep. Why not build on possibilities instead of assemble in conveyor belt sameness? Why not make it cool to be your own person? Lego research shows girls like ‘role play’—Fine. What better 21st century storytelling than bridging into transmedia maybe even tossing in indoor/outdoor role play fun to enhance discovery instead of “providing names and backstories” with rote replication? Where IS the ‘what if?’ The cutting edge? The mind-stretching, brain-tapping innovation through creative play instead of locked and taped inside a four-corner traditional box of vapid values in ‘girly girl’ distortions? …We’d just like to refrain from mopping up the mess of mass marketing landing on girls as stereotyped limitations instead of a gateway for girls to build lands of their own. I understand their ‘stealth STEM’ motivation, I just don’t see it deployed. Right now this is assembly, not building. Innovate. Build. Balance. But most of all, mix it up! Colors, gendered play groups, play patterns, all rainbows of bright brain yoga to shape all quadrants. THAT would be well-played. For girls. For anyone. Let’s hope Carl Sagan is right, and that Lego listens. Great piece! 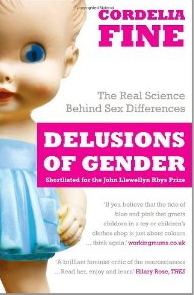 This is a fantastic list of really informative links and reading suggestions (I’m midway through Delusions of Gender right now, and it is a seriously fantastic read), and there is just so much going on with the Lego stuff I can hardly keep up. I love Lego as well, and it’s incredibly frustrating to me to see them swallowing the “girlification” pill in order to boost sales when the obvious marketing solution is staring us all in the face. Girls don’t need pink and simple toys, and boys who like pink shouldn’t be discouraged from being able to play with pink blocks because they’re “for girls.” Lego’s own mission statement involves encouraging innovation, but all they’ve done here is jump on the bandwagon. Amy, what an amazing article. I’m impressed by research you include. 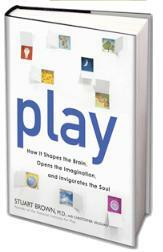 You provide a “big picture” on ways toys influence play & rewire brains. I have always enjoyed Legos, but I do not like what I am reading here. I’d like to see Legos get back on track to build toys that continue to challenge the mind and abandon the mistaken notion of “pinkifying” their products. Great post with some excellent resources! 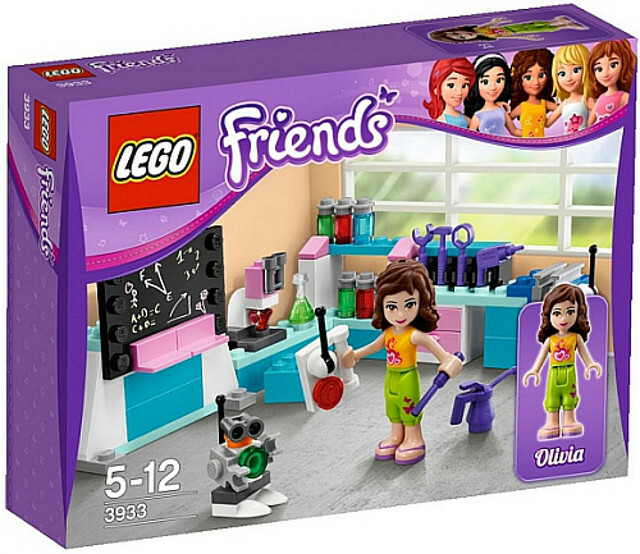 This is such a tremendously disappointing missed opportunity by Lego for bringing boys and girls TOGETHER. In addition to perpetuating gender stereotypes, these messages and images polarize girls and boys and contribute tremendously to the idea that they grow-up in “separate worlds.” In the overwhelmingly disproportionate amount of time that kids spend in single-gender peer groups, they hone their communication and problem solving skills in isolation of one another. As boys and girls socialize each other in different ways, this “great divide” widens and creates all sorts of negative attitudes and behaviors directed at the opposite gender. If children are given more chances to establish some common ground,work, play,cooperate and collaborate with one another, they will be more inclined to engage more often and learn from and about each other more. The world is co-ed – let’s do something to help bring our kids together. Beautiful post. Yes, I, too, find it increasingly frustrating that many marketers are drawing a thick pink and blue line between their female and male consumers—saying this is for girls and that is for boys. It tells girls “you must want this” and boys “you must want that”—and then, they do, because the gendered-items practically has their names on it. If the idea here was to take the current state of a gender segregated marketing society and essentially bring girls through the current pinkified door to help get them through the main LEGO door (providing more challenging, less limiting building and critical thinking- less gendered ad-ons, a path to the gender-neutral LEGO products, widening the likelihood of the reaction “This is for me!”). But that is not what’s going on here. I know this because there is no attempt to entice girls into buying typical LEGO sets. They are housed in the boy section of stores. They use boys to market these sets. They use colors and fonts and words that tell boys this is for you and decidedly, this is NOT for girls. And so, girls believe it. 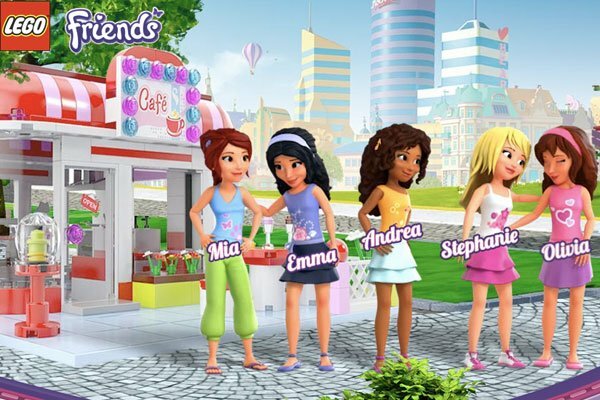 Girls are not hard wired to buy pink, thinned out, unchallenging activity games— marketers are pink-washing them into believing they are. The negative effects are that we limit girls. We tell them what they should and DO like and what they should and DO look like and what they should and DO think and how they should and DO act. And that isn’t good for anyone. wow, that is a lot of good information. I’ve only recently started to read about this new lego line and am too baffled by this move. I am very curious as to how it does in the marketplace. Sadly if it does well, none of this argument is going to matter. “Tried and True” people will say… sadly. hope to find time to write about this as well. Just want to thank all of you for your thoughtful comments and insights…I’ve been away/unplugged on ‘digital detox’ and am about to come back into the flow of this controversy, and definitely would like to reiterate that Lego STILL could make this a ‘win’ by redirecting their focus and upending their marketing game plan to right some ludicrous wrongs. As a former branding gal, I can say that once that kind of money is tossed into the media mix it’s a ‘genie’s out of the bottle’ mop up challenge to redeploy resources and expand rather than contract (remove) the line. I know they could take that $40 mill mktg budget and reroute it pronto for a very doable ‘win’ that opens rather than closes doors of the mind…for girls AND boys. Lego? Ping me, and I’ll even deploy some gratis ‘fixes’ from contests to transmedia in the hopes you’ll start bringing in consultants BEFORE producing a line rather than after. 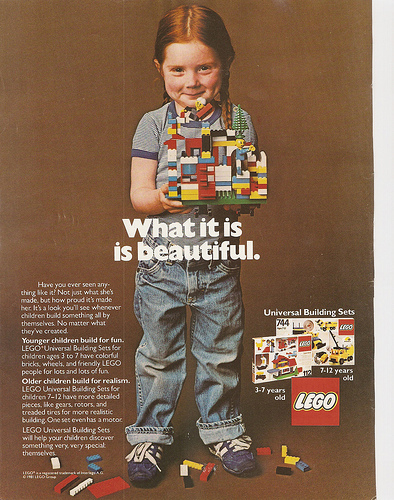 We need builders of ideas not assemblers of status quo for a healthier tmrw…so hope Lego understands the need to ‘go back’ in order to ‘go forward’ with inclusiveness. With 46,000 signatures on a social media petition already, I’d say there’s a massive mindshift of awareness that’s encouraging and uplifting to SEE that people are ready to get the compass back on track for humanity rather than slicing and dicing demographics for gendered profiteering at the expense of brain plasticity advancements that could help ALL leaders through COLLABORATIVE play. Thank you all again for using your voices, words and wisdom to view what many toss aside as a ‘micro’ issue, without seeing the macro, pervasive impact. Many are listening. And clearly those that aren’t, should be. Keep raising the bar…(and we’ll be able to turn this cultural tanker of lowest common denominator thinking around) Our future is counting on it. Hello. How much time did writing this article take?